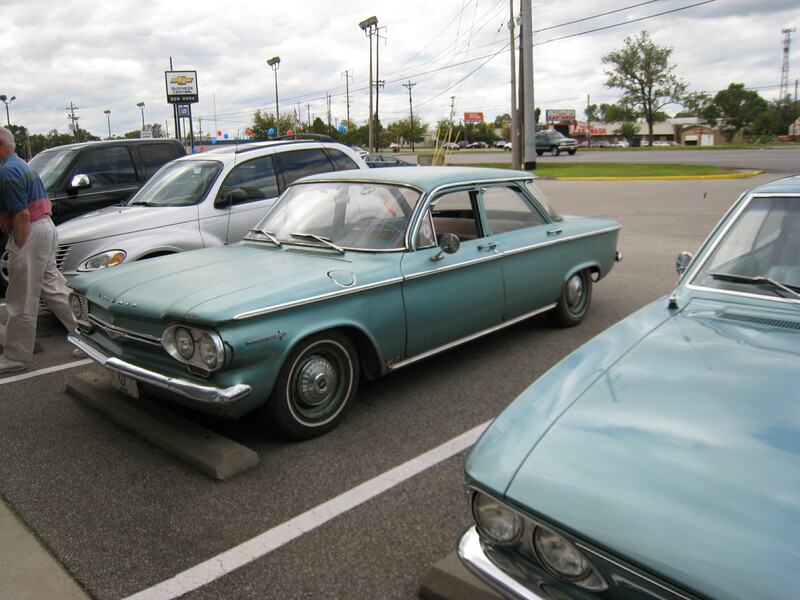 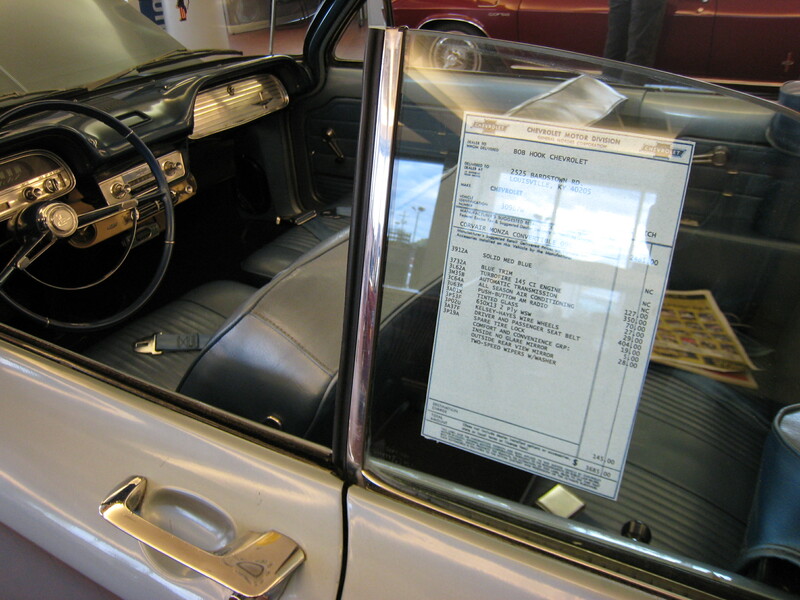 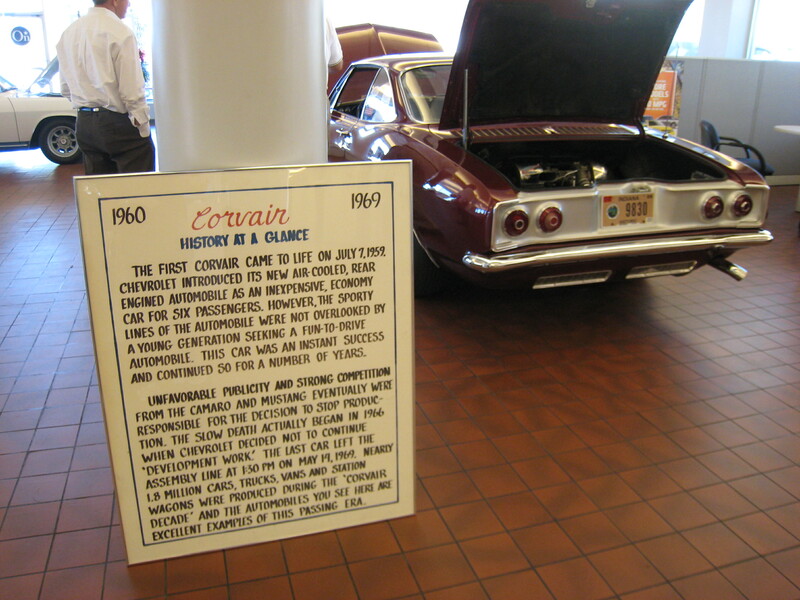 On October 2, 1959 Chevrolet dealerships across the country opened their doors to reveal the 1960 model Corvair. 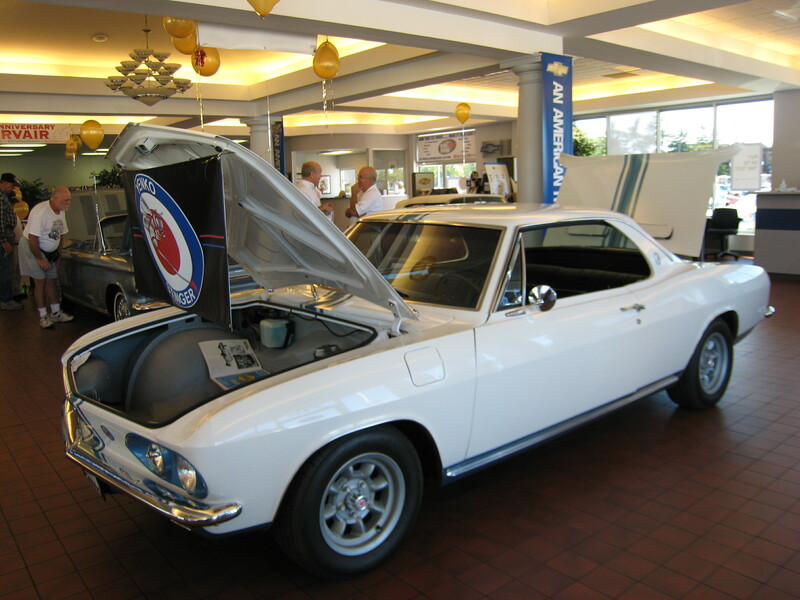 Originally intended to be a four door economy car, the Corvair developed into much more including sports cars, 2 and 4 door models, convertibles, station wagons, trucks and vans. 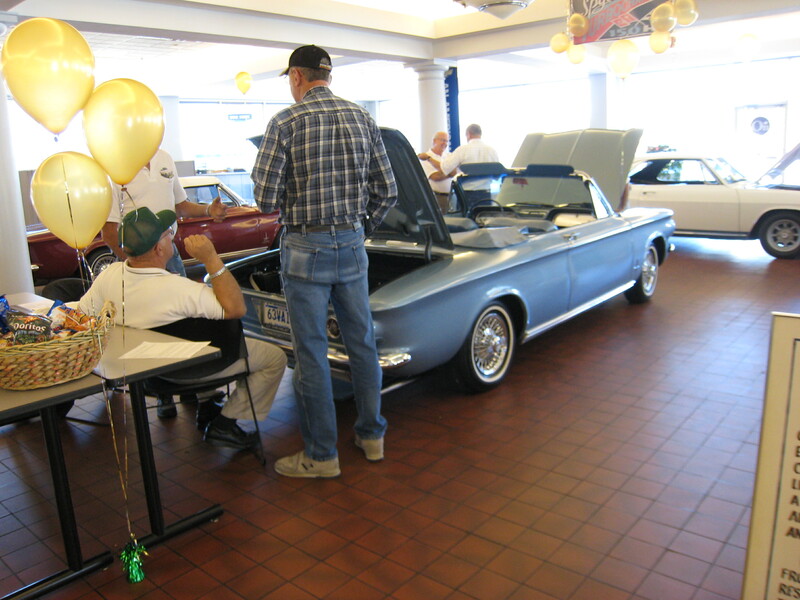 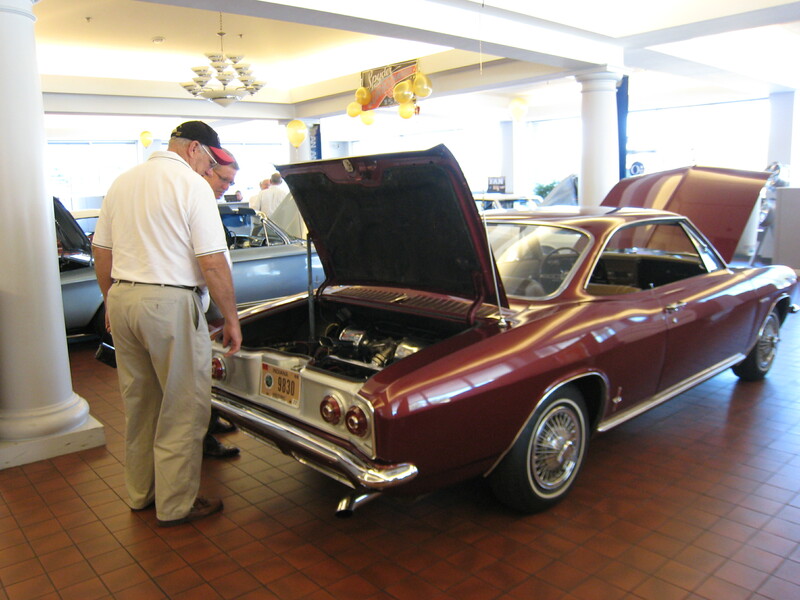 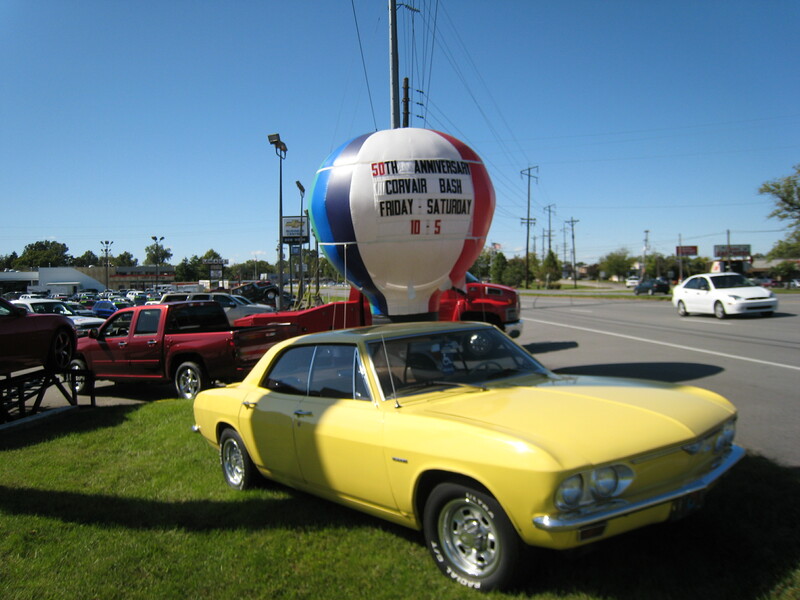 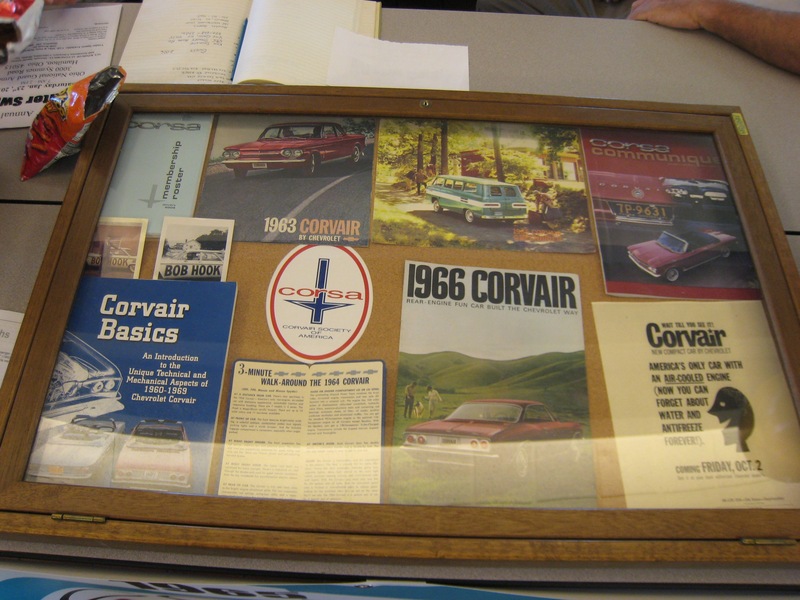 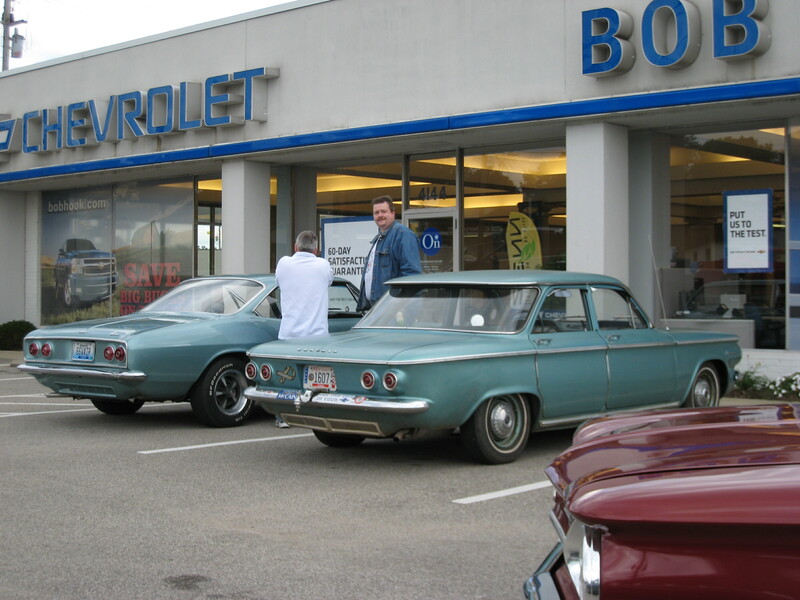 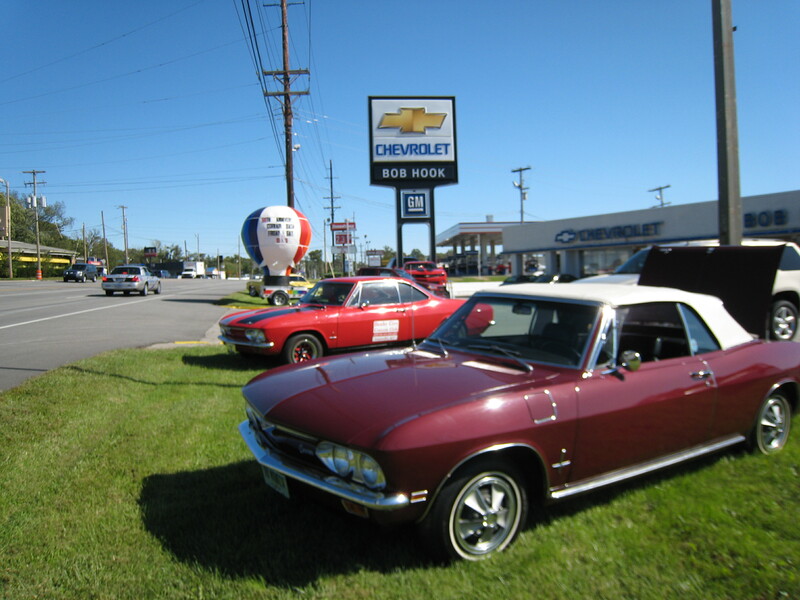 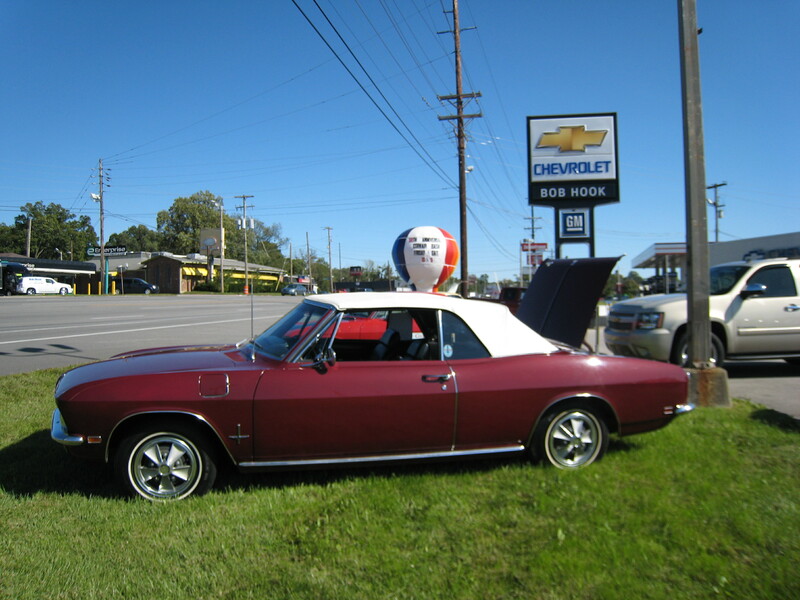 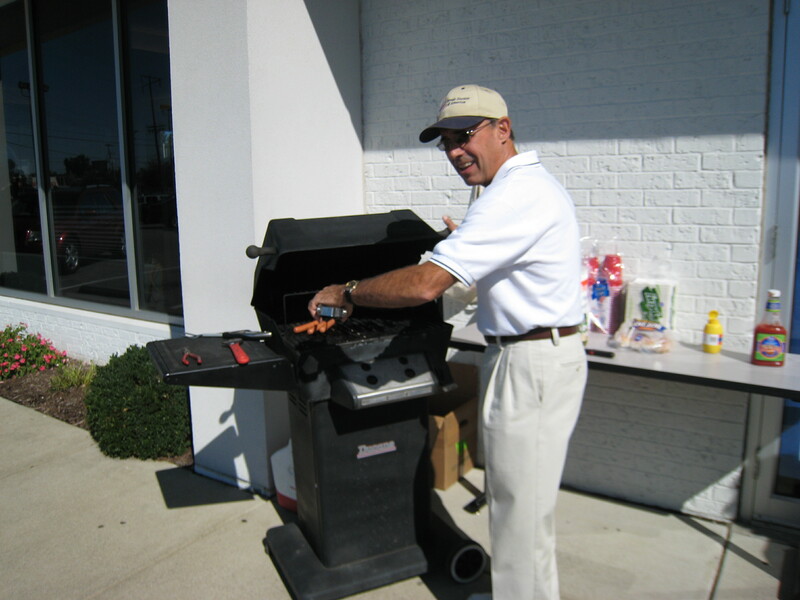 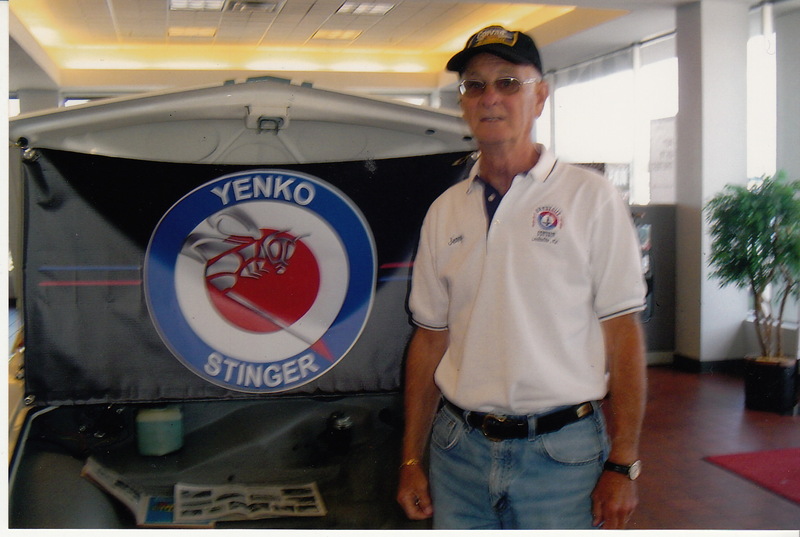 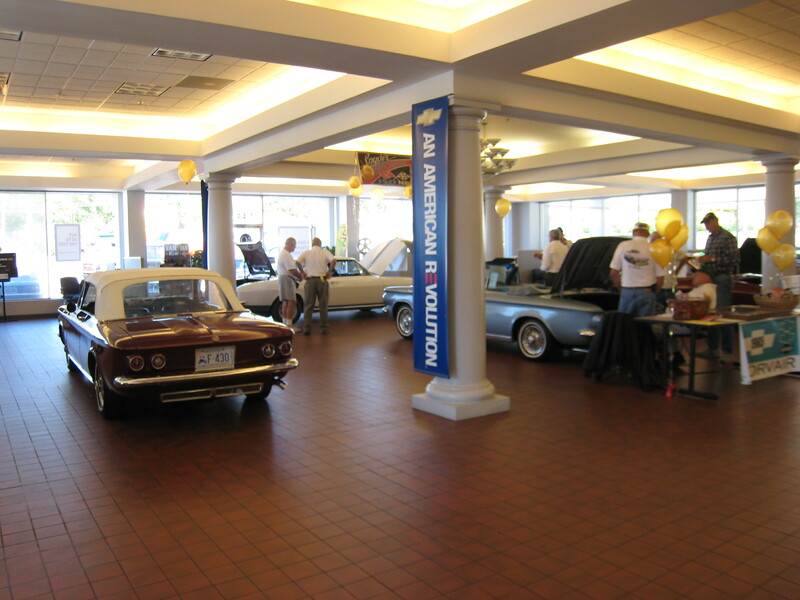 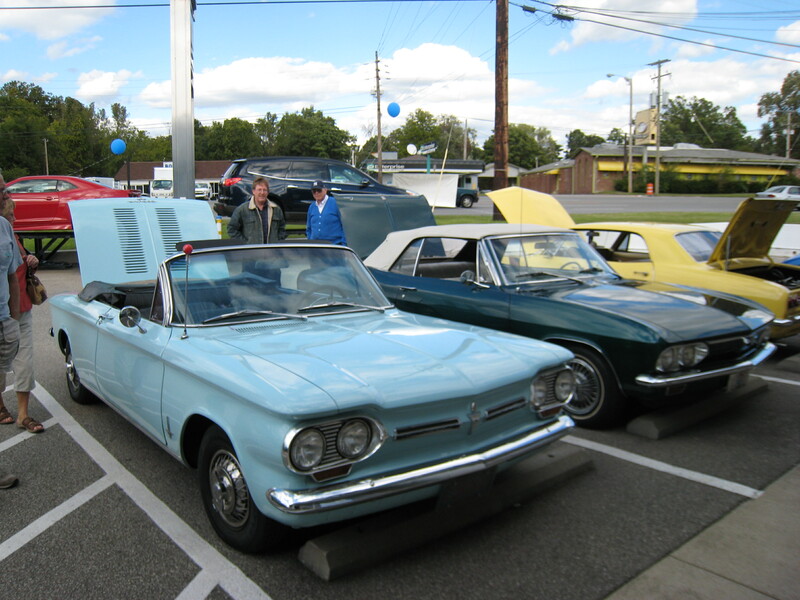 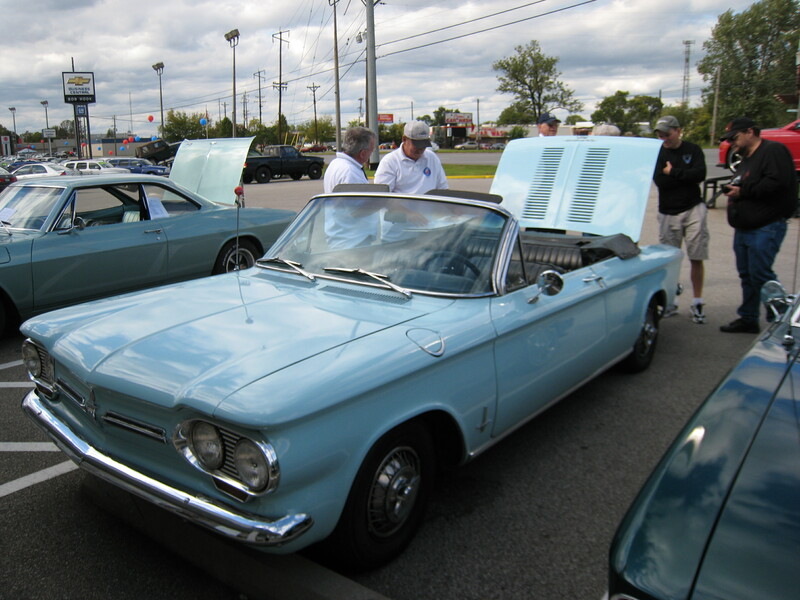 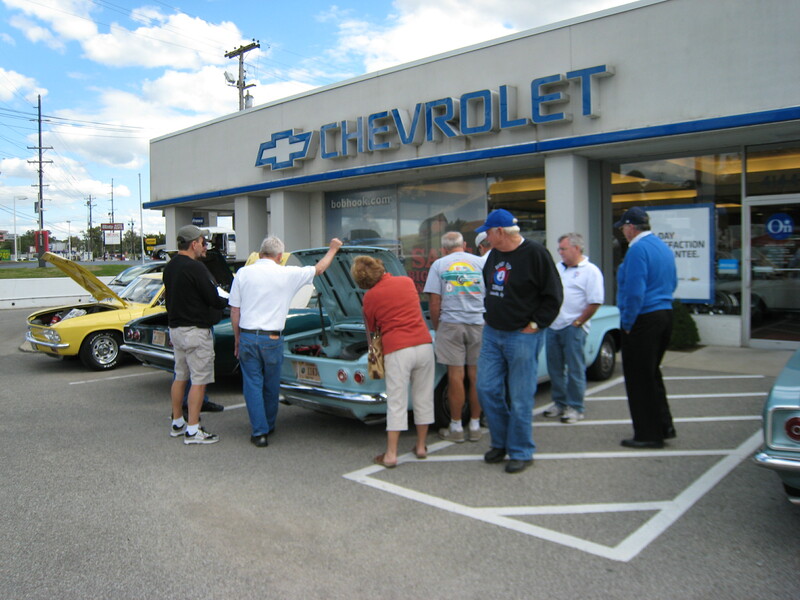 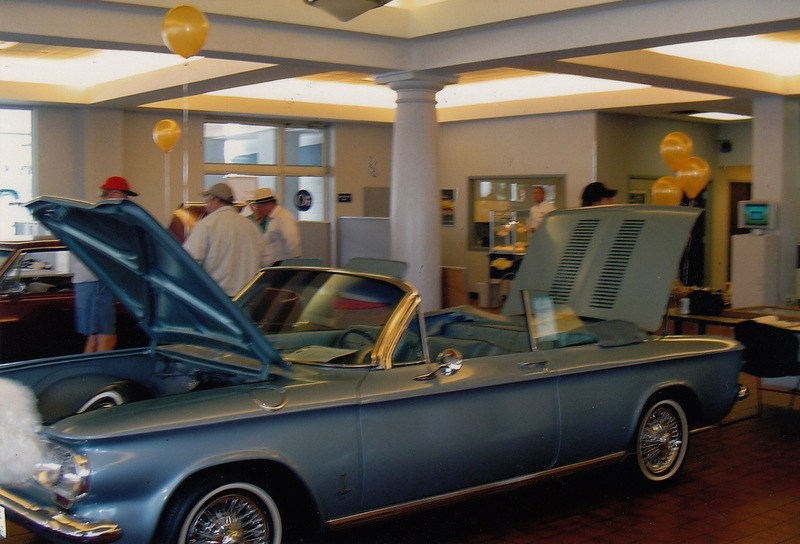 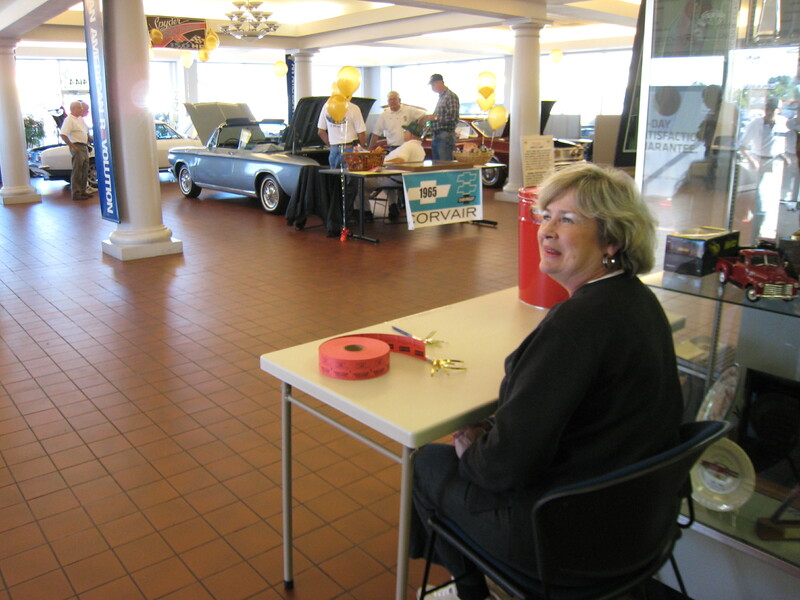 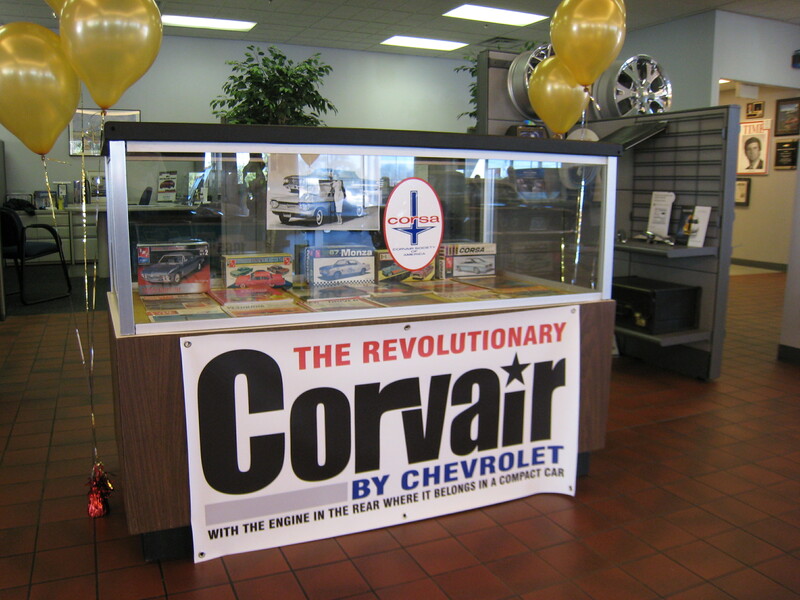 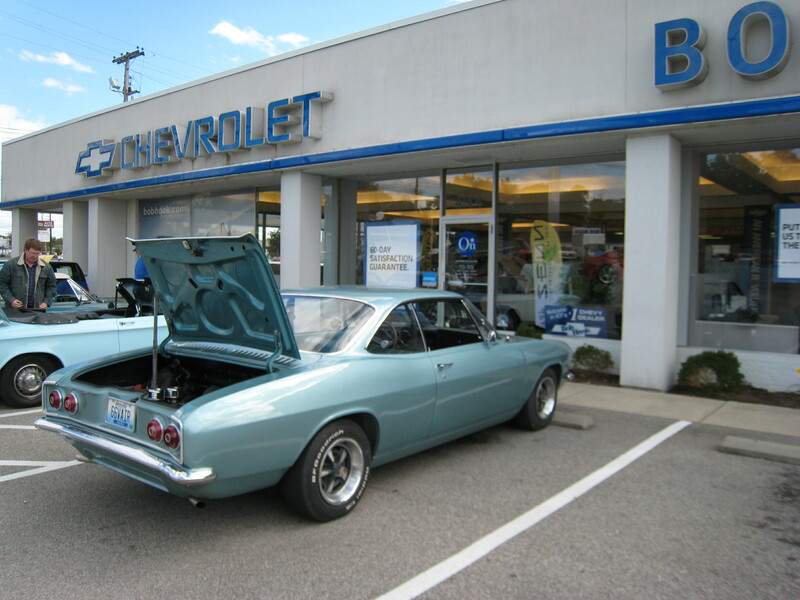 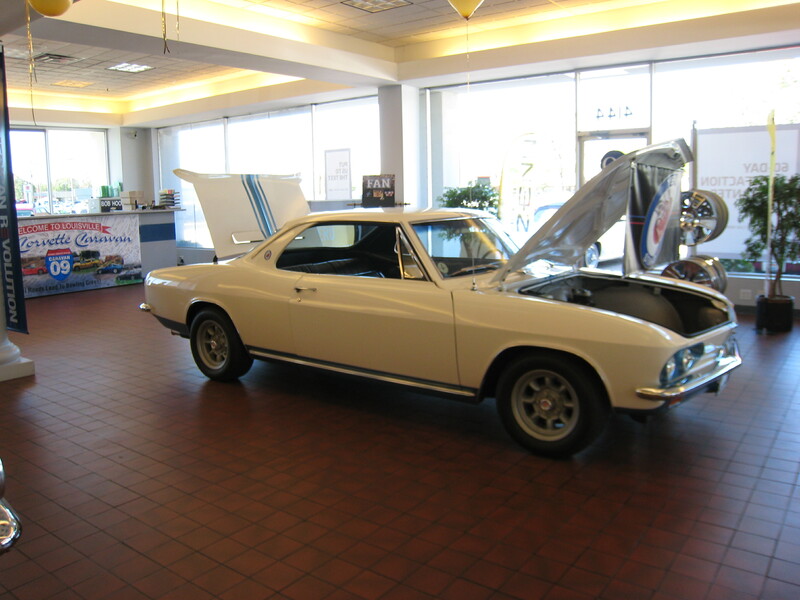 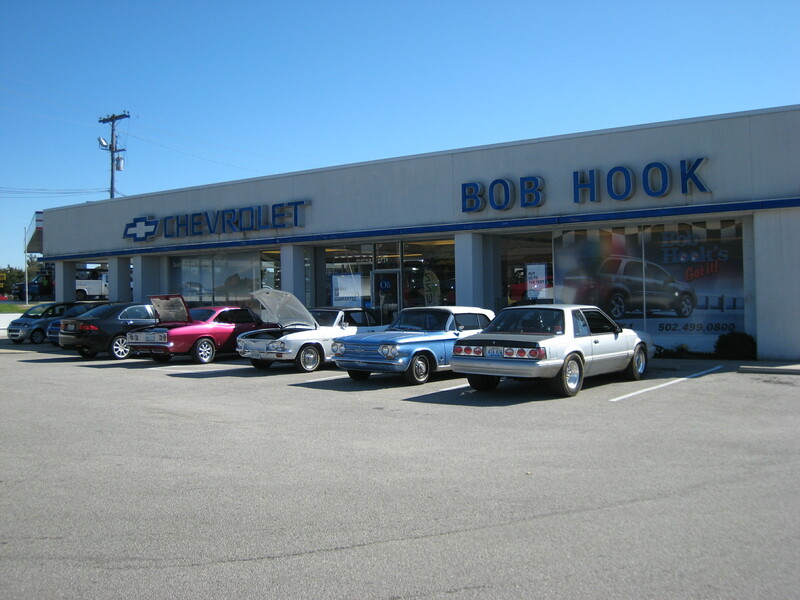 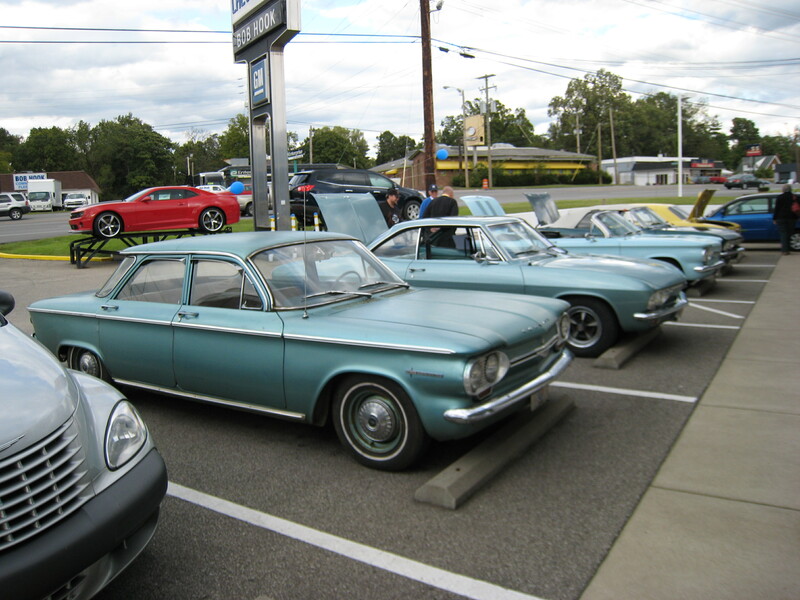 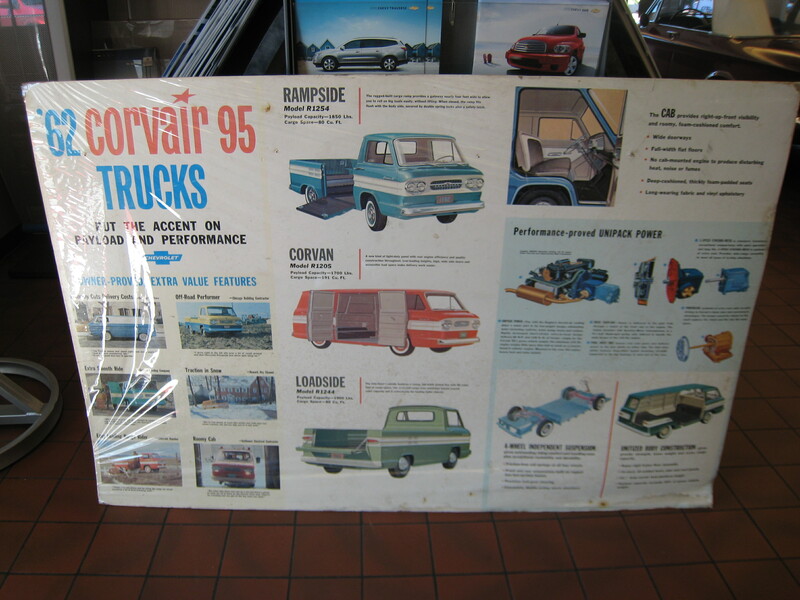 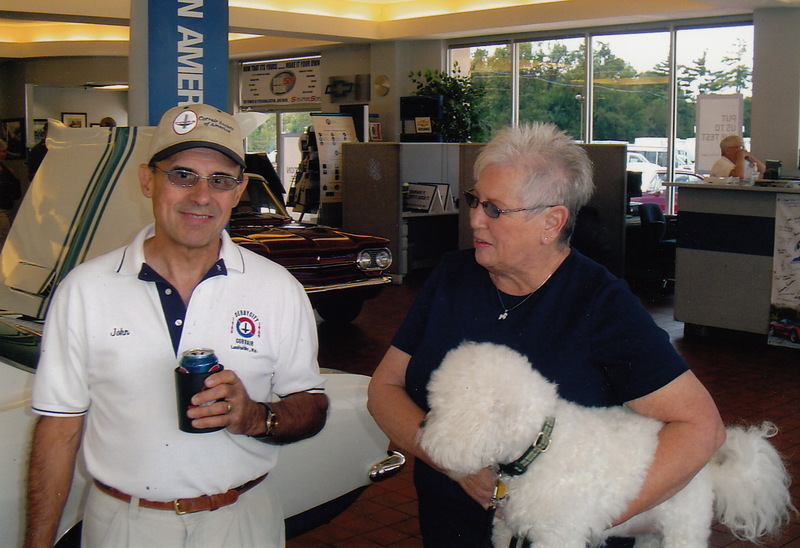 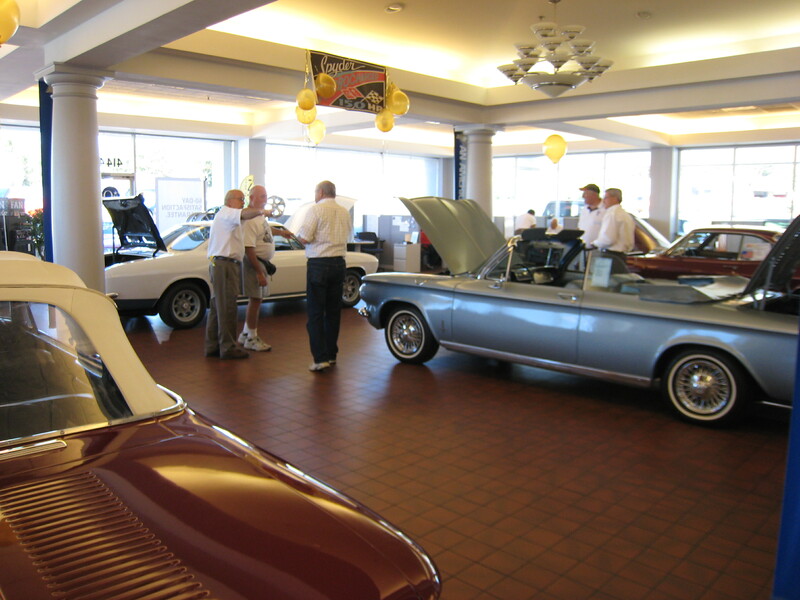 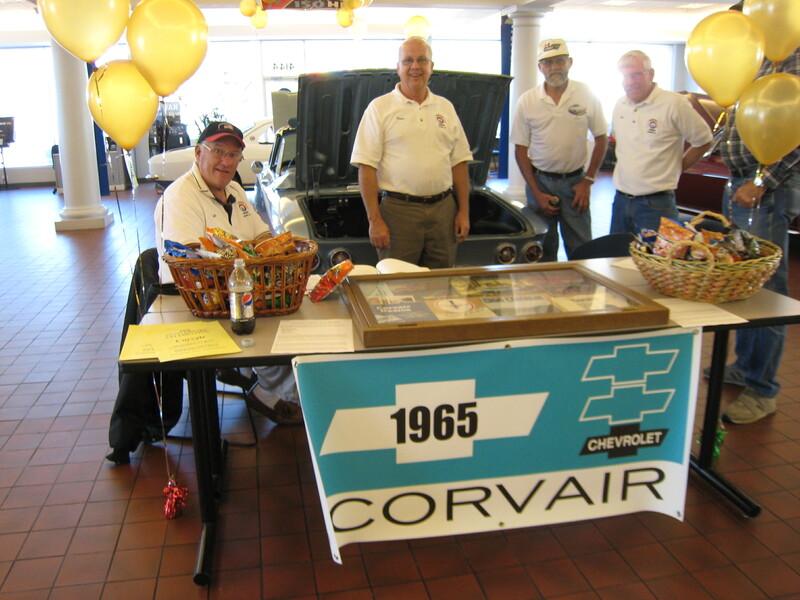 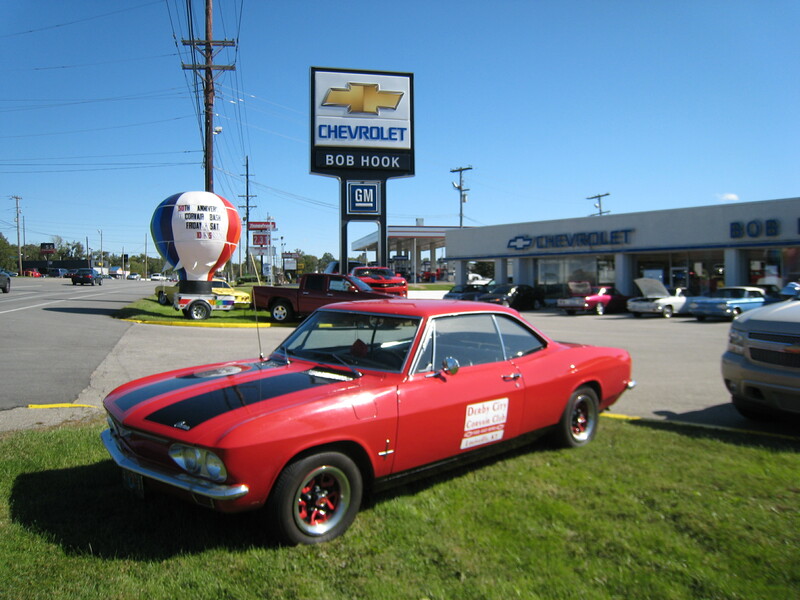 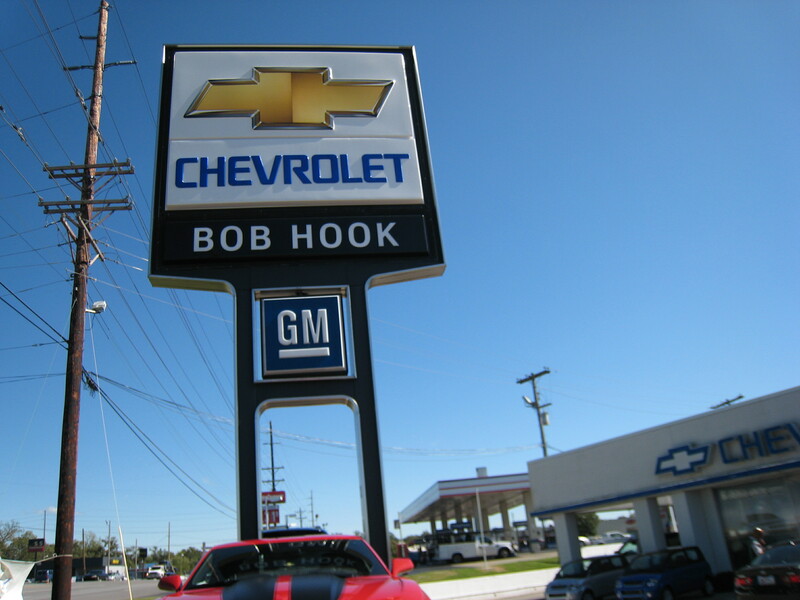 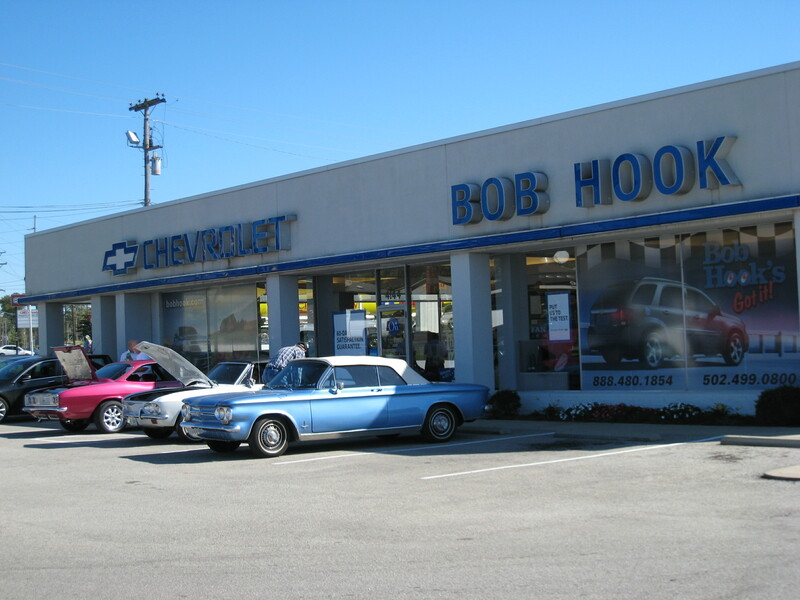 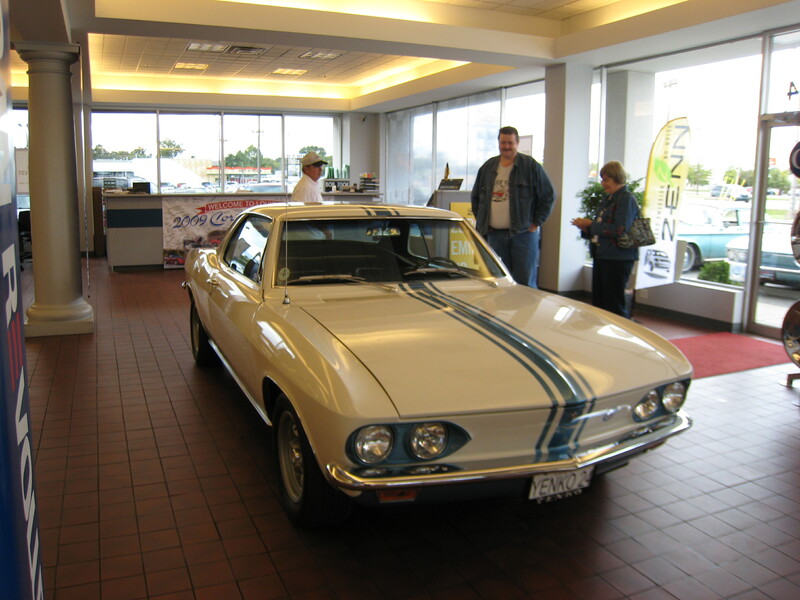 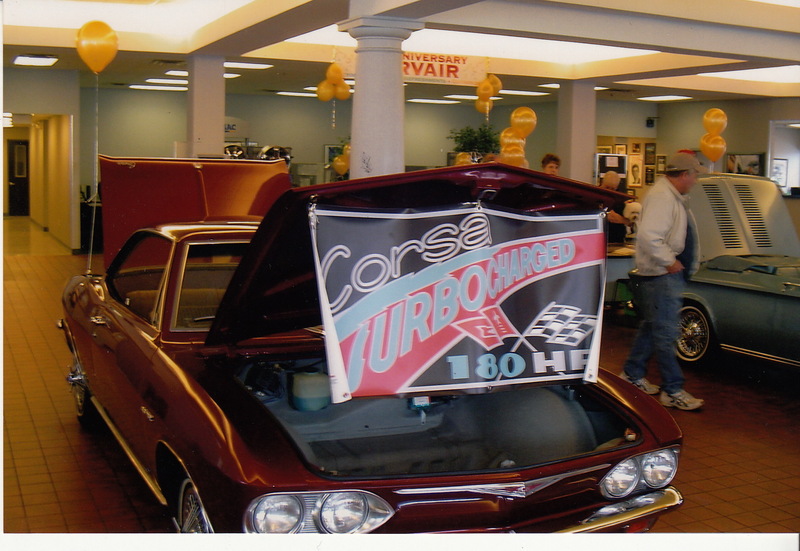 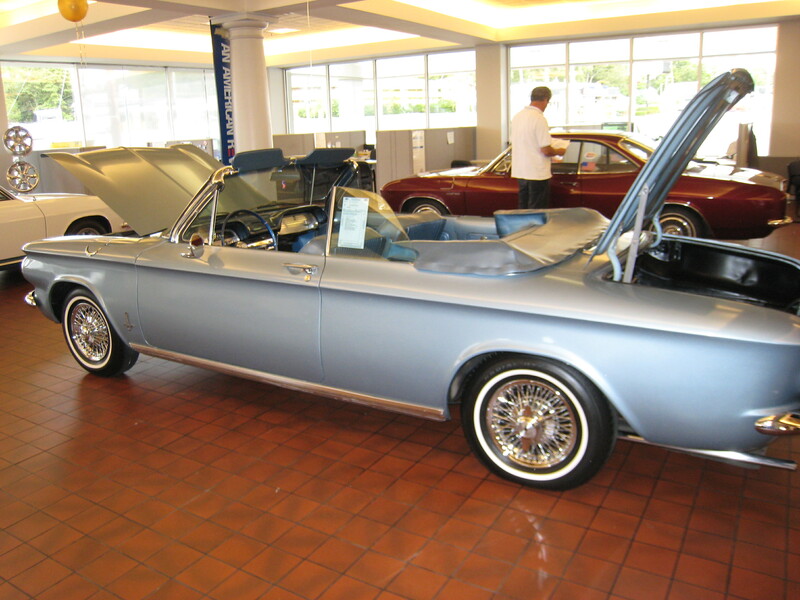 The weekend of October 2 and 3, 2009, Bob Hook Chevrolet in Louisville, KY rolled back the clock and filled its showroom with a variety of Corvairs, in honor of the 50th anniversary of the Corvair.